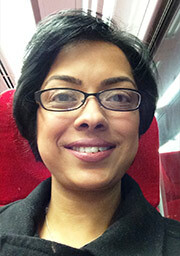 Anu Jayanti gained her primary qualification from the Madras University, India. After completing training in General Internal Medicine in the UK, she undertook specialist training in Nephrology from the Northwest Deanery, UK. She now holds a Master’s degree in Nephrology and CCT in Nephrology and Internal Medicine. She is currently pursuing a doctoral degree at the University of Manchester and in Central Manchester Foundation Trust, under the supervision of Dr. Sandip Mitra, Prof Paul Brenchley and Prof Alison Wearden. She is the study lead for the BASIC-HHD study (Barriers to Successful Implementation of care in home haemodialysis-NIHR Portfolio ID 12346), which is a multi-centre, prospective, observational study investigating the barriers and facilitators of home haemodialysis, through multiple collaborations. This project grant is funded by the Baxter Clinical Evidence Council, USA. She has secured further CLAHRC-NIHR grant to support the BASIC-HHD study’s qualitative arm. The study is in the phase of data analysis. Separate to this study, she has an interest in exploring neuroscience in the context of kidney disease and has a pilot project underway, which will pave way for larger work in the future. I. Abma, A. Jayanti, S.Bayer, S. Mitra, J.Barlow - Accepted for publication in BMJ Open. ‘Perceptions and experiences of financial incentives: a qualitative study of dialysis care’.